MakeUseOf reviewed another amazing piece of tech and they are giving it away to one of their fans! To enter in this HTC Vive Wireless Adaptor Giveaway grab your free entries by following few simple steps listed down below! Introducing the official wireless VR adapter for the VIVE and VIVE Pro. Move without hindrance. Broaden your virtual horizons. Make multiuser virtual reality an actuality. 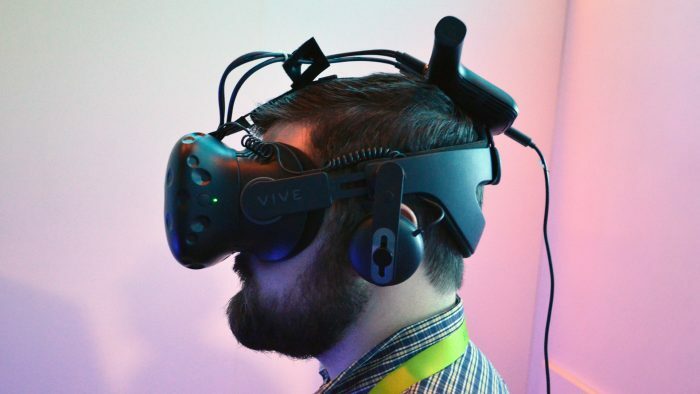 The VIVE Wireless Adapter, powered by Intel WiGig, offers a near-zero latency VR experience that’s fast, responsive and offers maximum performance. Build worlds, tear them down, venture into the unknown—all without skipping a beat. Plus, it’s so lightweight, you’ll barely notice it’s there. Easy to setup, the VIVE Wireless Adapter helps you get the most out of SteamVR’s room-scale tracking technology. Coupled with a powerful, easy-swap battery, you can explore the full virtual range of your VIVE or VIVE Pro for up to 2.5 hours.